Randomly choosing and man and woman next to each other to kiss always ends up in some sort of drama, but the most recent kiss cam faux pas was so awkward. A mother and son reacted with complete disgust and disdain when the kiss cam landed on them during a Milwaukee Bucks basketball game in Wisconsin last night. I would’ve thought the immediate reaction would be a loving, but familial kiss on the cheek and a laugh, but these two did not see the funny side at all. The son and mother wear their intimacy issues on their sleeve as he shakes his head and mouths ‘that’s my mom’ to the kiss cam gods. His mother then glances up from her phone and gives a hilariously dramatised look of disgust at the thought of showing her son affection. 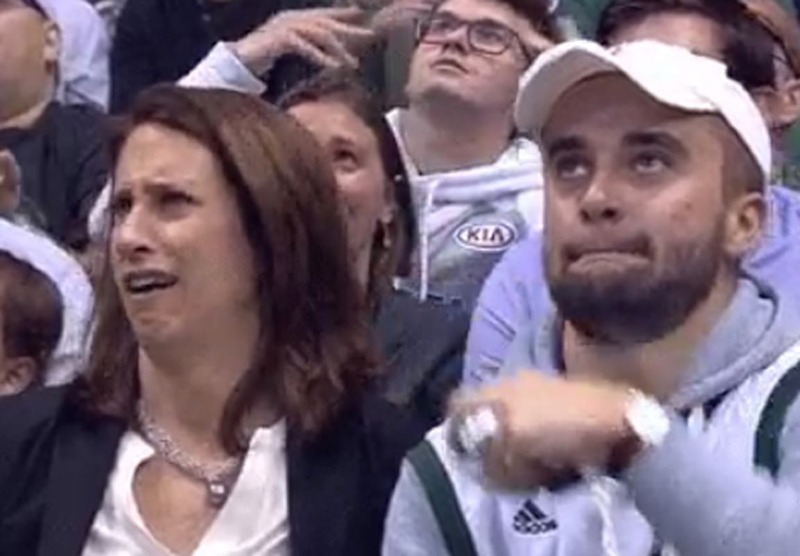 The Milwaukee Bucks found the video so funny they posted it on their Twitter saying ‘Awkward Kiss Cam Moment Number 324’. I hope they have gained a sense of humour since last night.